“We had been following Elmar’s work since his feature debut Fremder Freund and were very happy when he approached us with the idea for Offroad,” recalls producer Jakob Claussen. The screenplay for the feel-good road movie with quirky characters and many surprising plot twists was co-written with Munich University of Television & Film graduate Susanne Hertel who had worked on several projects for TV before now making her premiere for cinema with Offroad. Nora Tschirner plays Meike who has everything planned: completion of her business management studies, marriage, a bunch of children, taking over her father’s business, and then retirement sometime in the distant future. But then she catches her fiancé Philipp in flagranti with her best friend Denise and all those best-laid plans disintegrate before her eyes. At an auction, she buys a jeep which had been impounded at the German-Dutch border and her life is taken in quite a new direction when she makes an unexpected find in the jeep’s trunk. 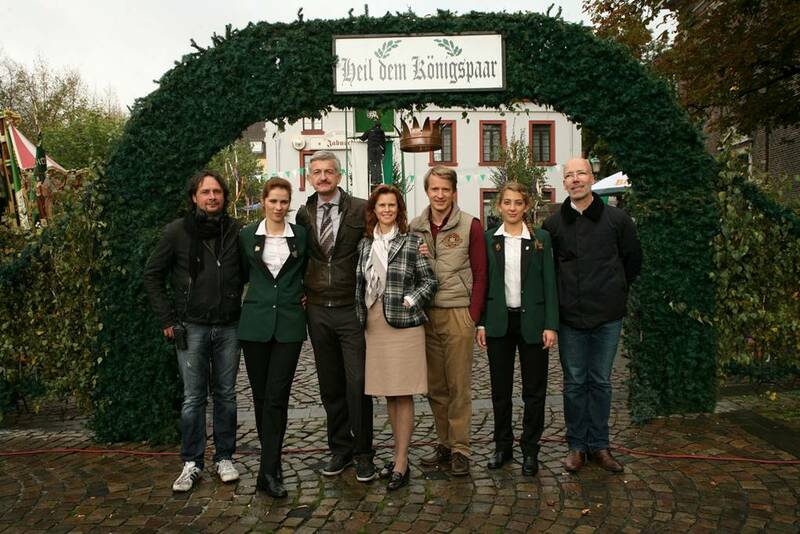 The two leads are supported by a top-notch acting ensemble ranging from Axel Milberg through Max von Pufendorf to Tonio Arango, Dominik Raacke and Leslie Malton, with the addition of interesting newcomers and guests. Offroad marks the Munich-based production company’s first foray into shooting on 2K Digital which proved very versatile for a film with many car stunt sequences. “We were filming throughout with 2-3 cameras, which is something that we couldn’t have afforded on 35 mm,” Claussen explains. Meanwhile, Fischer’s second feature film will be the second local film to be released by the German outpost of US distributor Paramount Pictures after it picked up Tim Fehlmann’s post-apocalyptic thriller Das Ende der Nacht last year.